Every plan starts comes with a 14 days FREE Trial. No Credit cards required to signup. Every purchase comes with a 30 days moneyback guarantee. Need more conversations? Or are you an Enterprise with privacy and compliance issues? We can help. Talk to us here. Every subscription is backed by iron clad 30 days money back guarantee. 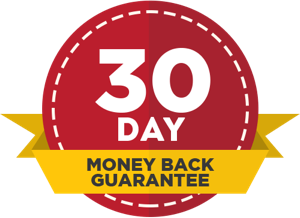 Give it 30 days and if you’re not satisfied, we’ll refund your money. No questions asked.